The beauty of these silk scarves is that they’re so versatile. You can wear them with stilettos, ballerinas, or boots, a dressy dress or a pair of jeans. In adding scarves to my product line, I hope to become part of an existing tradition, established by couture fashion houses in the mid-twentieth-century, where art and fashion meet each other on a silk square. In the past several decades, digital printing capabilities have evolved tremendously. It's now possible to print all the beautiful color gradations and expressive brush strokes of a painted design (as opposed to just flat, graphic designs) on many types of fabric. This opens the door to a whole new world of possibilities for what a scarf can be. My hope is that the wearer of these scarves will feel like she has a painting, a real work of art, wrapped around her neck or draped over her shoulders. And scarves don’t even have to be worn. They can be framed or hung for display. Because of the large scale and format of the prints, these scarves can be rotated to feature different flowers and segments of the paintings. In this way, a single scarf can function as many. 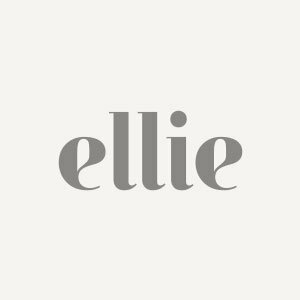 Each Ellie Cashman Design© scarf is finished with a textile logo label and comes packaged in a beautiful, branded black box that you can use to store your scarf whenever you're not wearing it.